This time, I visited Semarang. I met Mega and Jay who live there. On Saturday morning, I arrived there. At that time, Mega had a project on Lerep Art Village in Ungaran, Central Java; thus jay and I were invited to come. 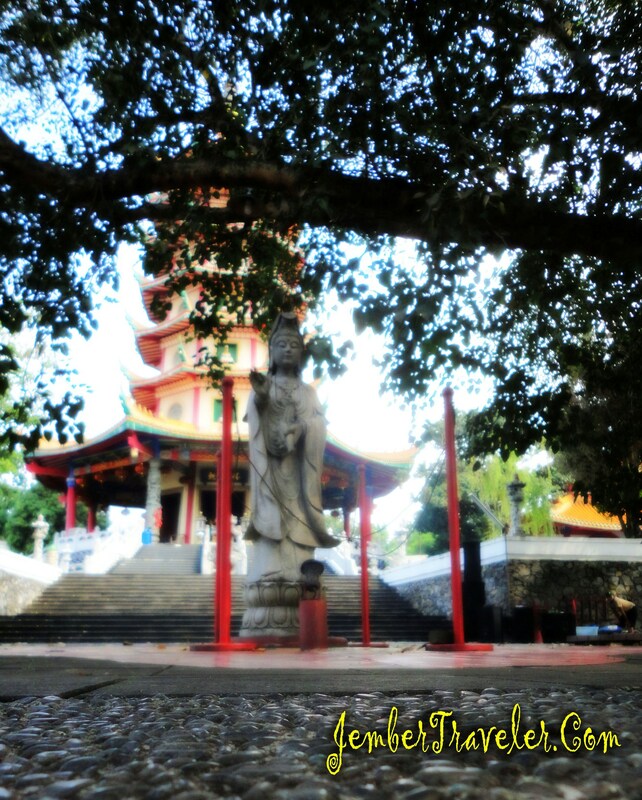 On the way, I saw a big pagoda. I asked them to stop by that place for a while. 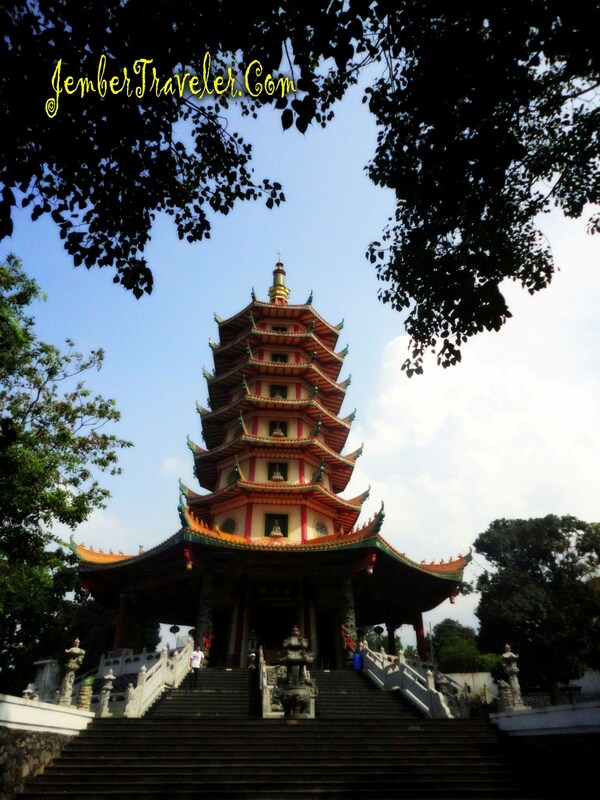 The pagoda is located on Jalan Perintis Kemerdekaan, across to Kodam IV Diponegoro Basecamp in Watugong, Semarang. 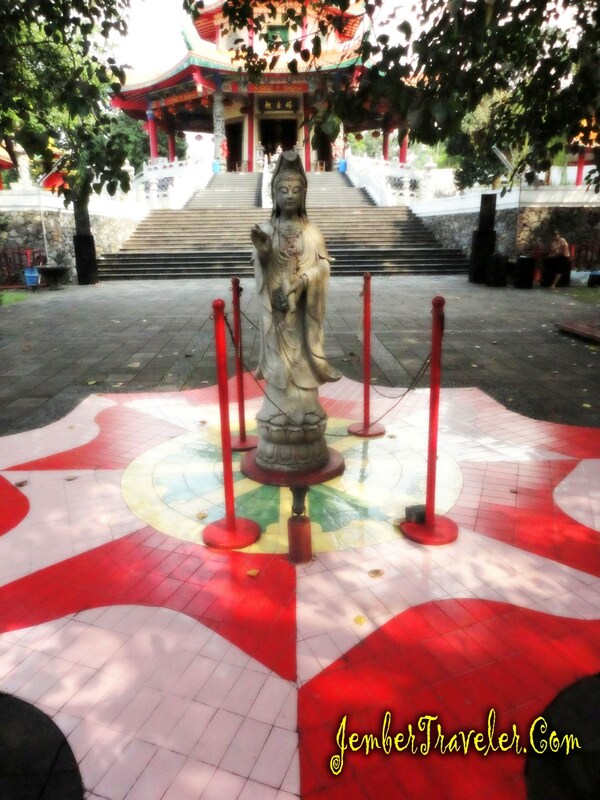 Before entering the pagoda, we were colcomed by a statue of Kwan Im which is based by tiles in the shape of lotus leaves. 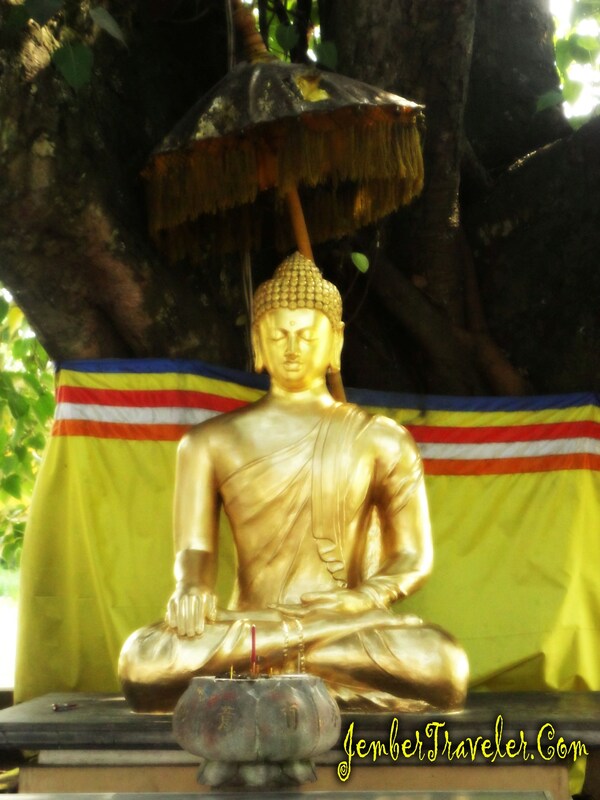 Not too far away, there is a golden Buddha statue meditating under a beautiful flowery tree. Few steps later, we had to go up stairs. 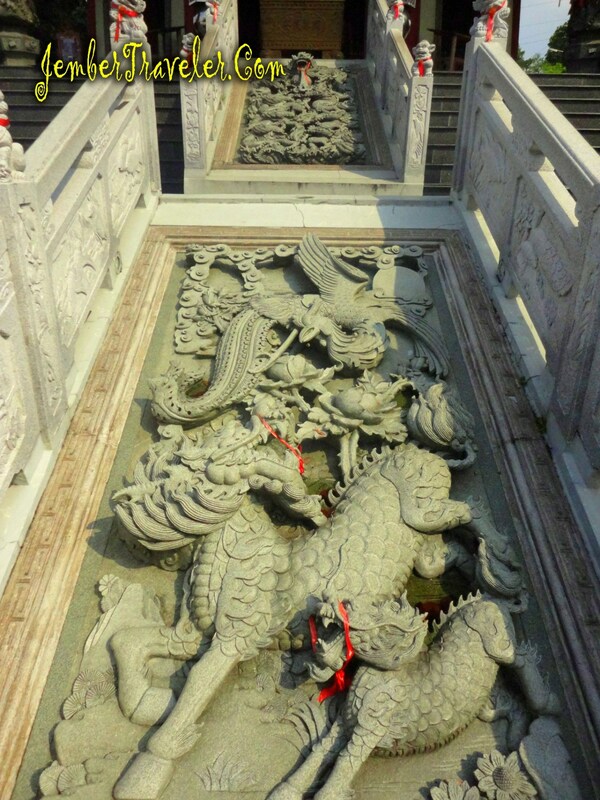 There were some carved stones from China in the shape of phoenix and tiger. 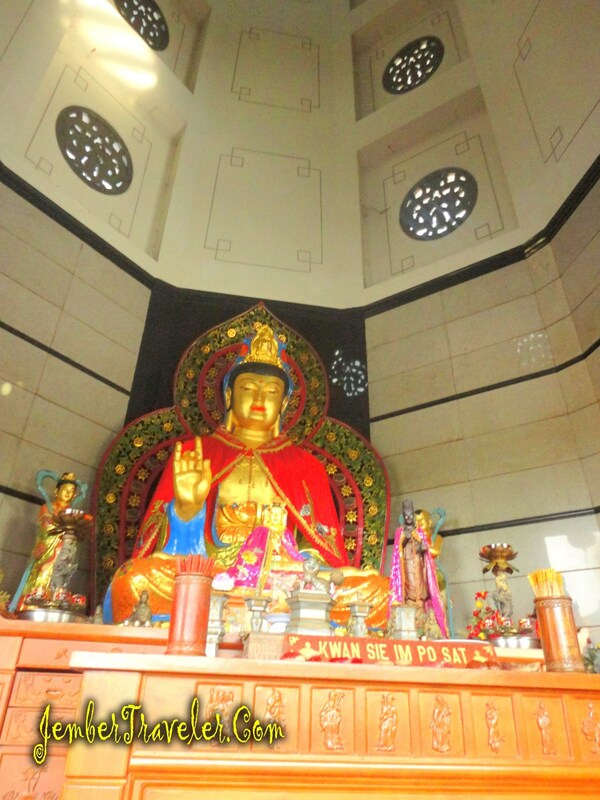 In the pagoda, there was a golden gigantic Bodhisattva Avalokitesvara, and some golden statues and many bronze statues. 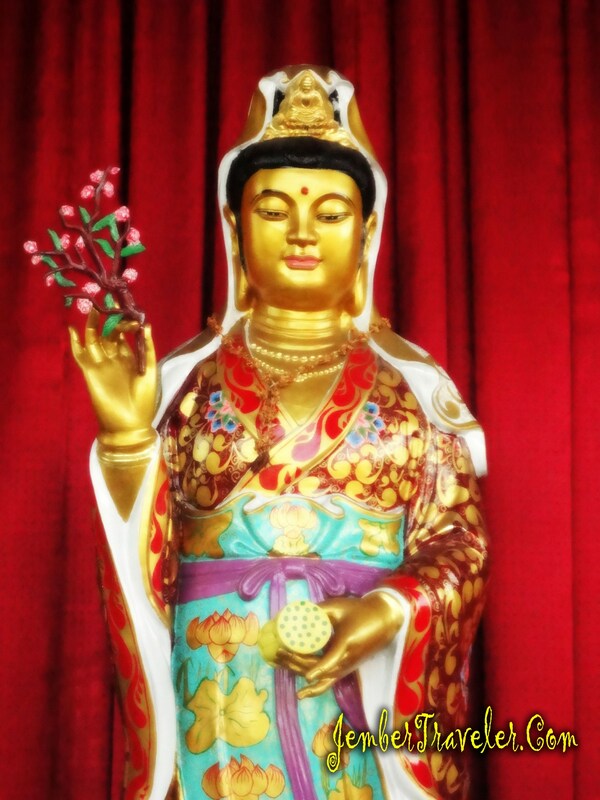 Rumors say the materials to build the pagoda and the statues are from China. 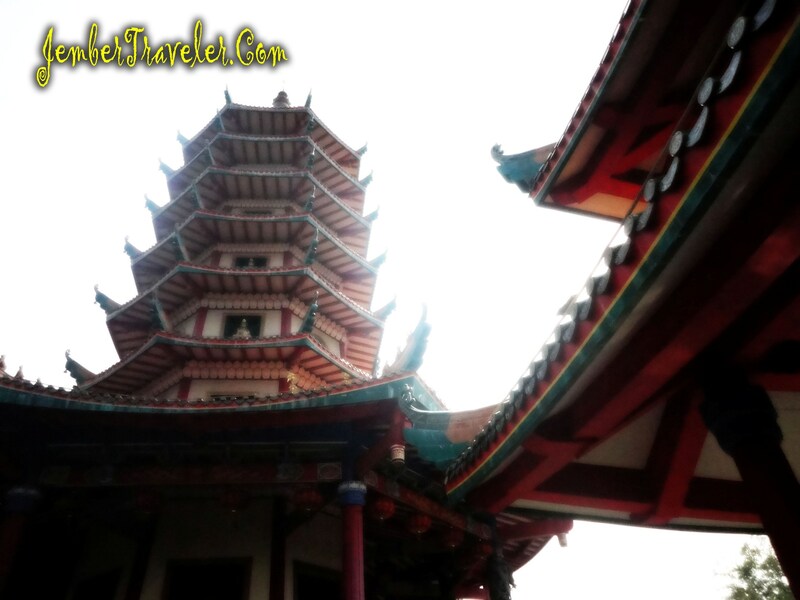 This pagoda has 7 stories. On the outside of the first story, there are 5 figures of Kwan Im. The first figure is the place for those to pray asking for soulmates. The second one is for asking daughters. 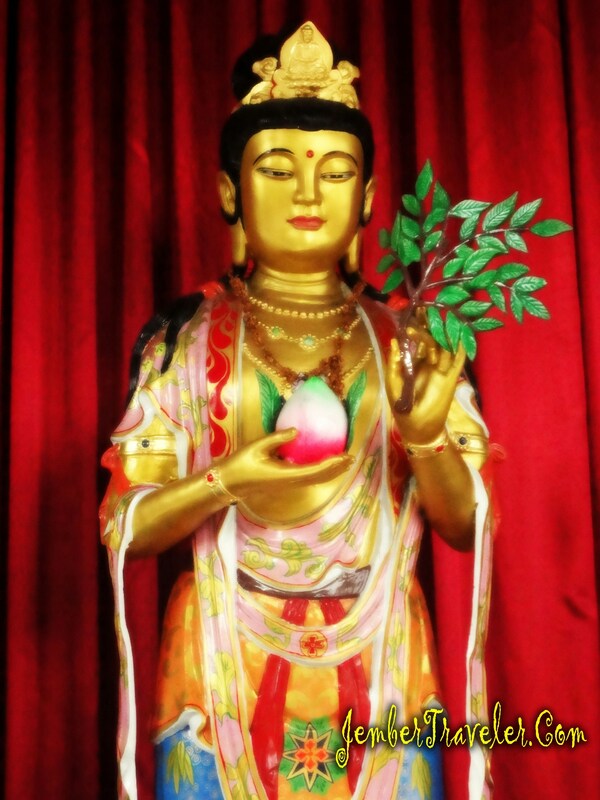 The third is Bodhi Poo Sat, a place for those asking for shelter and protection from danger. The forth is for asking sons. And the last one is for asking long lives and love from their other halves. 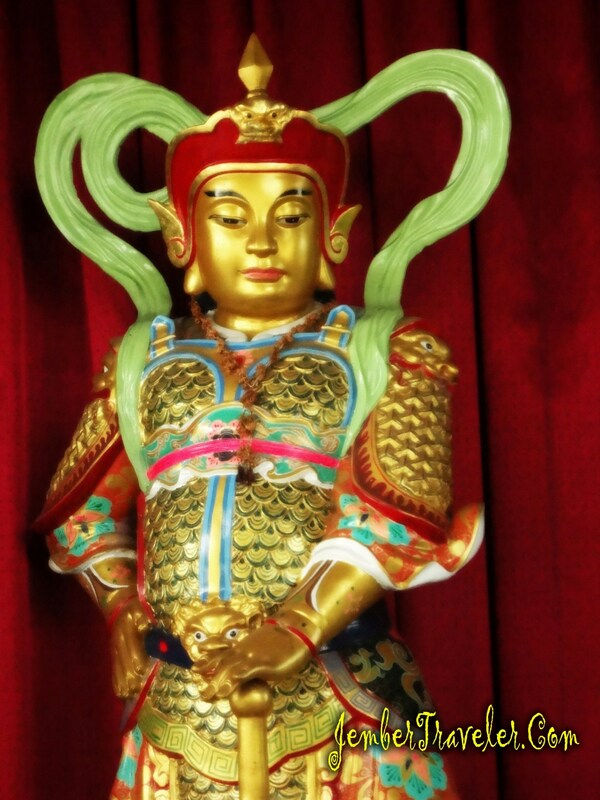 On the second to seventh stories, there is a Kwan Im statue on each outer side. Each side symbolizes the direction. 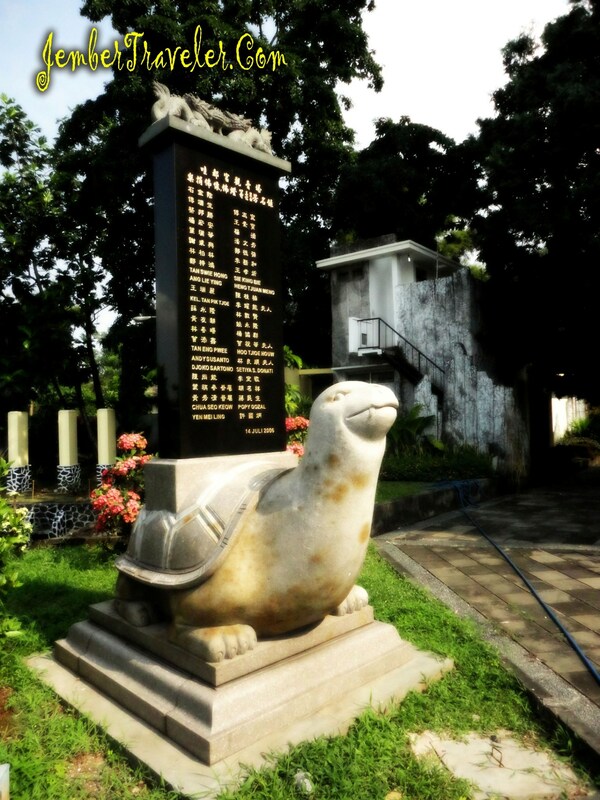 So people believe that Kwan Im is spreading love and affection to every corner of Semarang. 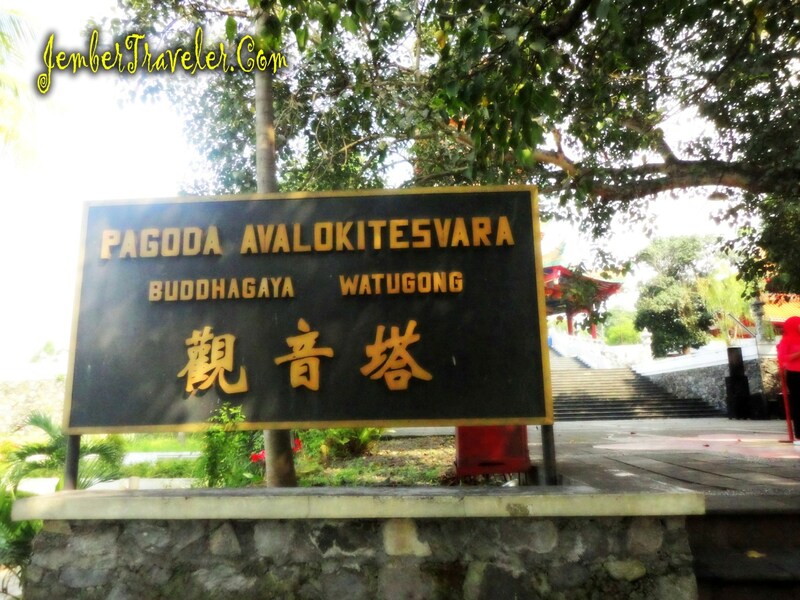 It was only an hour for us to be in the pagoda, and we continued our way to our destination, Lerep Art Village in Ungaran.